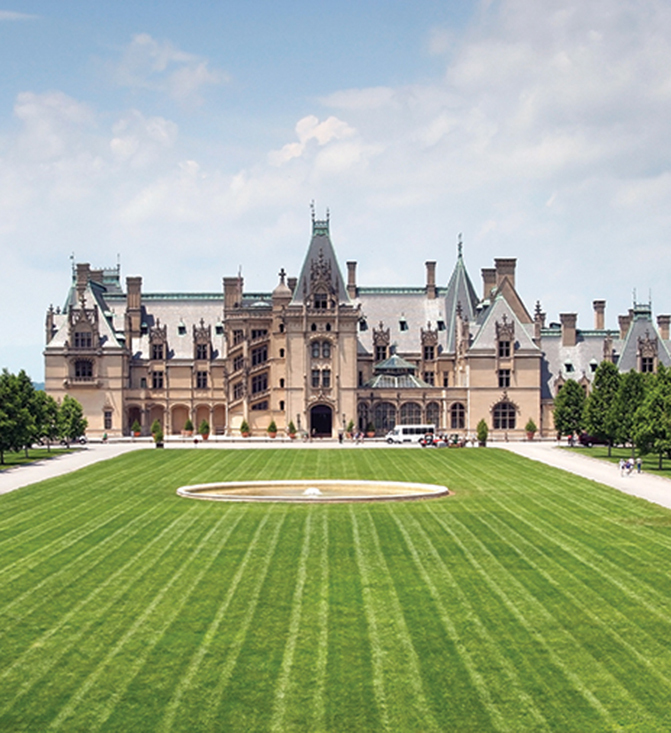 Biltmore, perched in the Smoky Mountains at Asheville, North Carolina, is the country’s largest private home and a stunning remnant of the Gilded Age of steel tycoons and robber barons. 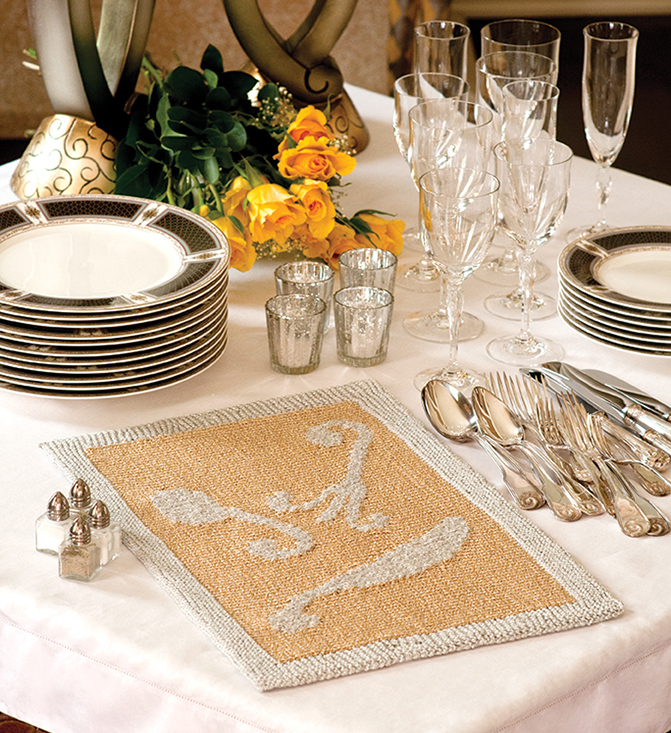 These placemats are a nod to the glittering table settings of that time, but with a modern twist— surreal flatware designs and metallic yarns. So set your table and get a little glam for yourself, even if dinner comes straight from the microwave rather than from silver salvers. 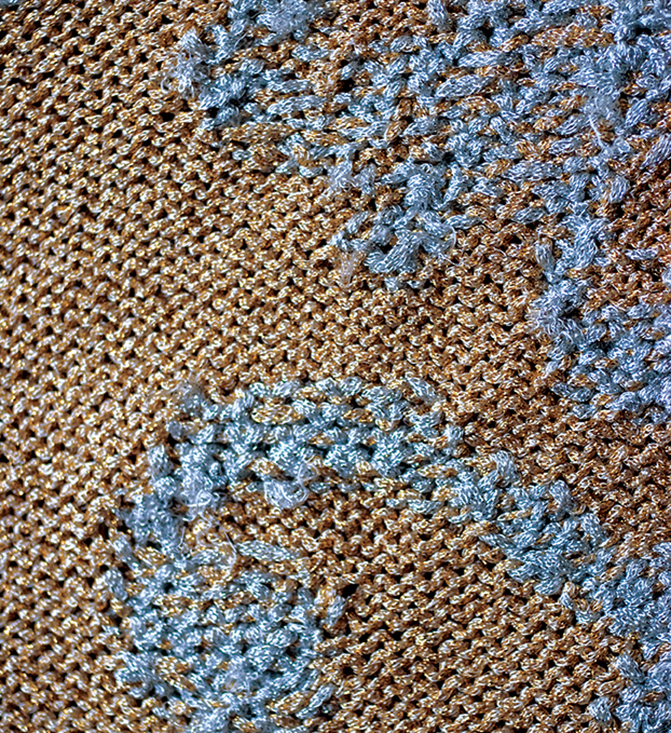 This project is worked in “stranded intarsia”— stranding the background color behind the contrast color only. The result is a double layer of yarn in the flatware design elements, but a single layer for the background, giving a slightly raised appearance that helps set them apart from the background.